Explicit 316 - Boom Studios - WWE V1: Redesign Rebuild Reclaim! 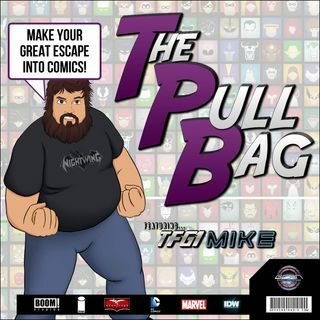 In Episode 316 of The Pull Bag join TFG1Mike and Ryan "The UnEvenFlow" as they hit the mat running! We are expanding The Pull Bag's coverage into the Boom! Studios WWE comics!! Today's episode has us Redesigning, Rebuilding, and Reclaiming our thoughts on WWE V1 starring The Shield! Be sure to tune in and hear us tell you why we love reading WWE, almost more than watching it! As always Make Your Great Escape Into Comics!! !